Harvey Fierstein and Jeffrey Tambor star in this freshly reconceived production of the Tony-winning musical. A.J. 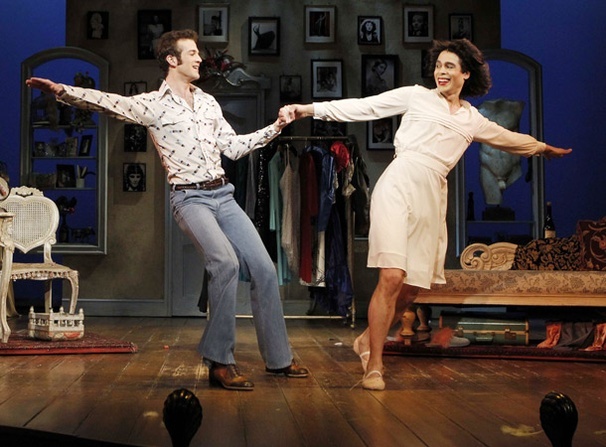 Shively as Jean-Michel and Wilson Jermaine Heredia as Jacob in La Cage aux Folles.